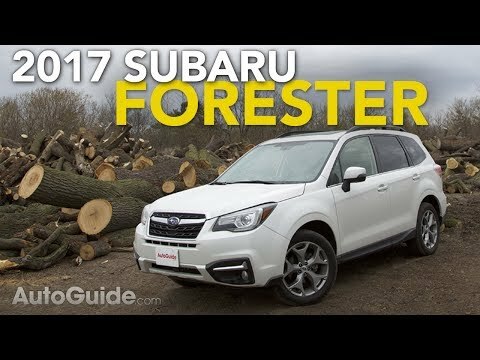 The 2017 Subaru Forester's reputation in the compact-SUV market is well earned. It offers all-wheel drive standard, yet fuel economy is right in line with front-wheel-drive competitors like the Ford Escape and Honda CR-V. Toss in this year's improvements in the style, comfort, technology and efficiency departments, arguments against the Forester become trivial. Subaru’s are great for short people! The safety features are comprehensive. Rely heavily on blind spot warning. A small but very helpful thing is the compass directions on the rear view mirror, this is so helpful when using a GPS. The tall windows are great for sight. Most vehicles do not have tall windows anymore. The long sun visor is much appreciated. The seats go quite high which is helpful for short people. The single touch door lock at the handle is handy. I wish I had the ability to open the rear hatch from inside the car. I see that some models must have it but I do not. It took awhile to figure out how to be sure you've shut down everything properly. If not, the car will not turn off. With mine I cannot get the rear hatch to open automatically by touch. I have to hold the button continuously until it releases and until I begin to push it up. My Subaru Forester has been one of my favorite purchases. It was very affordable and had a great payment plan. The reliability of the car has been fantastic and I have definitely been converted into a Subaru lover, as this was my first Subaru purchased. The gas mileage is great for a small SUV - I am getting anywhere from 25 mph - 27mph as an average between city/highway driving. Features in the car make it very comfortable for long road trips. It has an automatic driver seat with lumbar support as well as heated seats, even though they aren't leather (I'm not a leather fan)! Highly recommend this car for its space, comfort, gas mileage, price and convenience.